We’ve featured a couple of sports cars from Intermeccanica, a Turin-based automobile manufacturer whose badge included the Union Jack. The company still exists, building replica automobiles in Canada. The Indra was available as a coupe and convertible between 1971 and 1975. The design and engineering work was done jointly by Bitter and Opel. This early example is powered by a 5.3-liter V-8 from General Motors that makes 230 horsepower. Only 125 Indras were built and only 36 were of this body/engine combination (as GM stopped supplying engines in 1973). This one carries a relatively recent restoration and looks pretty good. The auction for this car starts at $60,000 and has an estimated sale price of $95,000. Click here for more info and here for more from this sale. 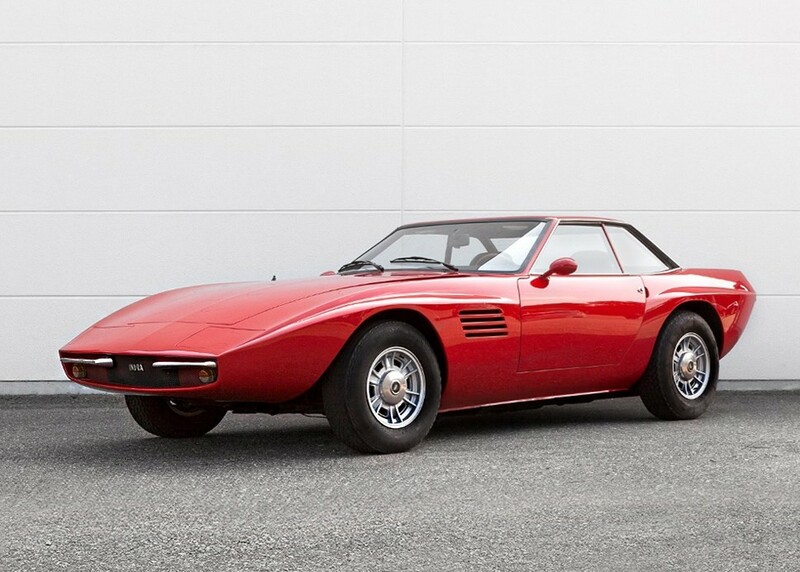 This entry was posted in Uncategorized and tagged 1972, auctionata, auctions, cars, classic cars, coupe, indra, intermeccanica by classiccarweekly. Bookmark the permalink.